Leading game developer and publisher of popular free-to-play MMORPGs, KOG Games announced today that Latin American Grand Chase players will have a new home with KOG Games! Starting now, current Axeso5 Grand Chase players can apply for the transfer of their account, all characters (including current EXP and Levels) and character gear to the KOG Games Grand Chase service. All current Axeso5 Grand Chase players will notice that the game login has changed slightly and some new information is required for successful game login. Along with the Account Name and Password, an Email field entry will be required to validate and secure your Grand Chase account transfer. This application for transfer will only be allowed until the current Axeso5.com game service ends. Once the current service closes, the transfer application will no longer be offered. So, hurry and login to the game to complete your transfer application now! Then, on September 4th, 2014, the KOG Games Migration page will open for all migrating players. All players who follow and complete the direction for Migration on that page will receive a coupon code. This coupon code can be redeemed for some awesome prizes! Every player that completes the application process and account migration to KOG Games will receive $20 bonus cash! Keep your eyes on the KOG Games website as Grand Chase announcements will be posted regularly! Please remember your Axeo5 account name and password! You cannot transfer your account without it. “We’re thrilled to bring Latin American Grand Chase players home to KOG Games. 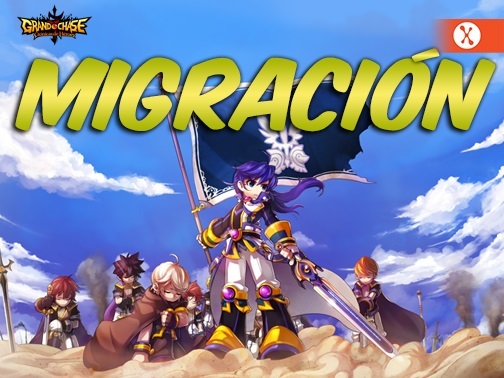 We warmly welcome players from Mexico, Central and Spanish speaking South America as part of the growing global Grand Chase community; currently home to players from around the world.” said Eugene Kim CEO of KOG Games. Webzen has announced the launch time of Continent of the Ninth Seal (C9)'s open beta.